NASA developed Realizable Responsive Unobtrusive Unit (R2U2), a framework for monitoring security properties and detecting threats in drones. The International Consortium of Minority Cybersecurity Professionals sponsored a scholarship contest this summer to attend a security conference. Selections were based on a white paper on cybersecurity-related topics. I wrote about securing drones, using research from NASA Ames Research Center. Drones, also known as unmanned aerial vehicles (UAEs), are becoming more widely used for applications in shipping, law enforcement, farming, and photography, yet have become targets of increasingly sophisticated attacks. Autonomous drones that don’t use remote control can also be vulnerable to attacks because of their reliance on sensors, particularly GPS, for navigation. NASA developed Realizable Responsive Unobtrusive Unit (R2U2), a framework for monitoring security properties and detecting threats in drones. It uses formal logic to reason about inputs from a drone’s sensors and can help detect GPS tampering or deviations from flight plans. It did well when tested with simulated attacks. Based on NASA data, I'll have an opportunity to attend a security conference and enhance my knowledge and skills. R2U2 is a novel framework for runtime monitoring of security properties and diagnosing of security threats on-board Unmanned Aerial Systems (UAS). R2U2, implemented in FPGA hardware, is a real-time, REALIZABLE, RESPONSIVE, UNOBTRUSIVE Unit for security threat detection. R2U2 is designed to continuously monitor inputs from the GPS and the ground control station, sensor readings, actuator outputs, and flight software status. By simultaneously monitoring and performing statistical reasoning, attack patterns and post-attack discrepancies in the UAS behavior can be detected. R2U2 uses runtime observer pairs for linear and metric temporal logics for property monitoring and Bayesian networks for diagnosis of security threats. 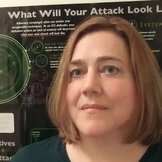 We discuss the design and implementation that now enables R2U2 to handle security threats and present simulation results of several attack scenarios on the NASA DragonEye UAS.